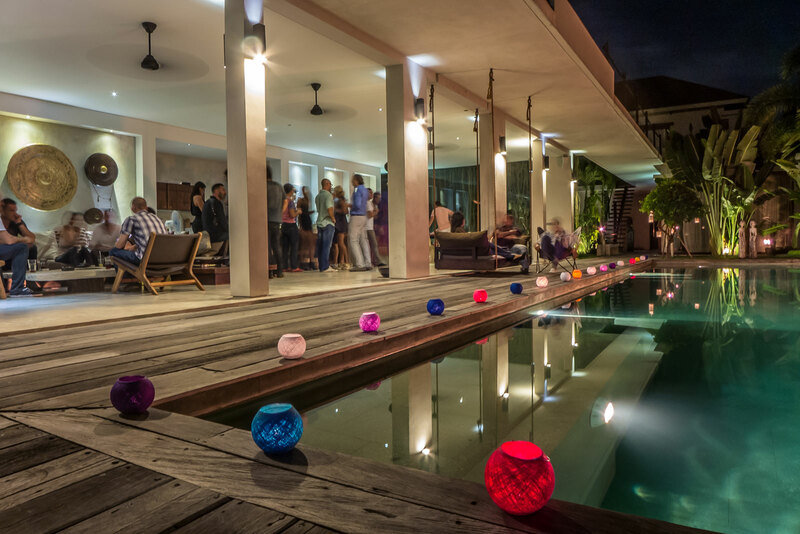 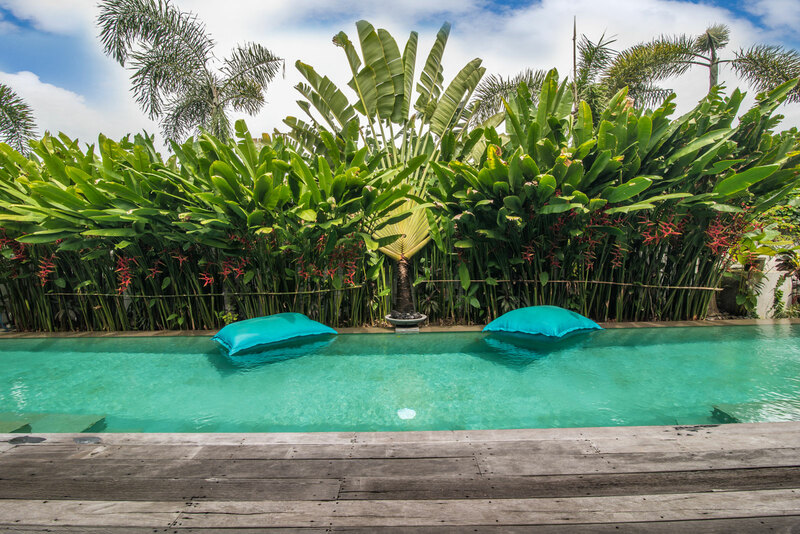 A chic minimalist avant garde Villa Saba 10 is a five bedroom villa located in Bali’s Umalas district, a hidden gem just a few minutes away from Seminyak’s sweeping beaches, vibrant night scene, world-class restaurants and chic boutiques. 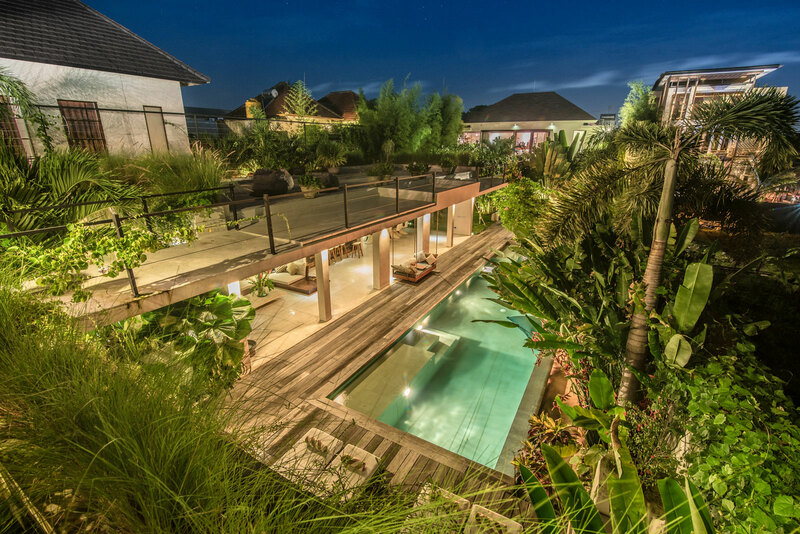 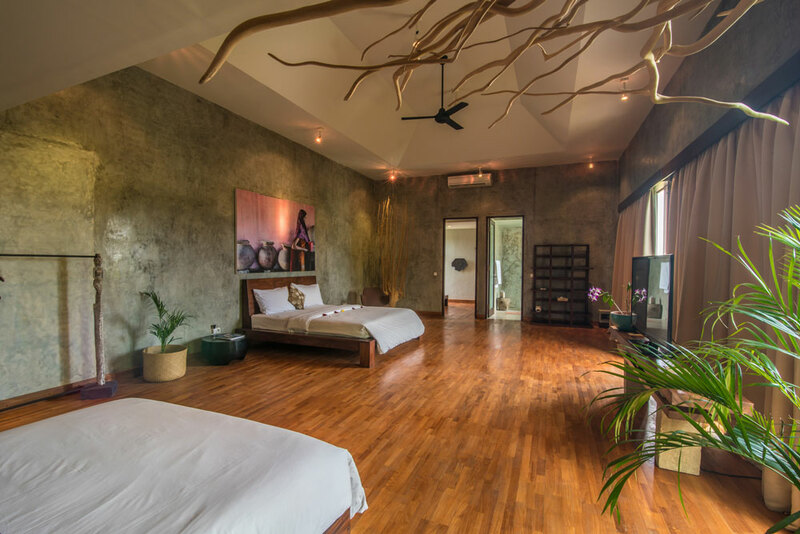 A haven for relaxation and play, Villa Saba10 is a luxury Bali villa offering a captivating blend of comfort, art, privacy and exemplary service to ensure you the perfect holiday experience for you and your family. 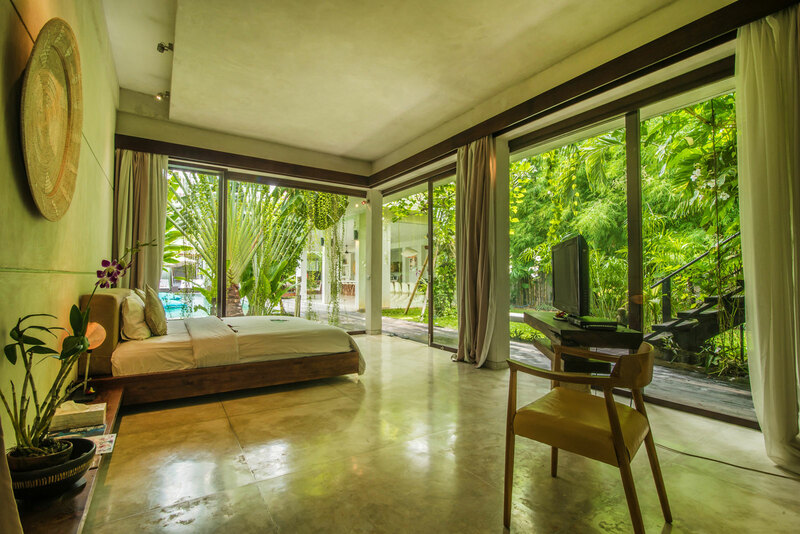 This luxury villa was completed in June 2012 with a modern art minimalist design, natural light with many places to chill, relax and enjoy. 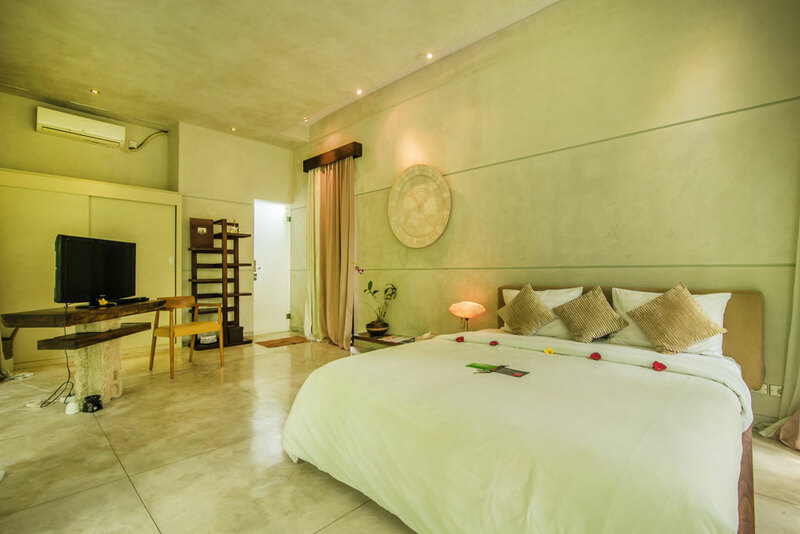 Embracing fresh white walls, cool creamy-white terrazzo floors, soft grey and white furnishings, and an abundance of space and natural light, the urban chic decor is a study in progressive minimalism. 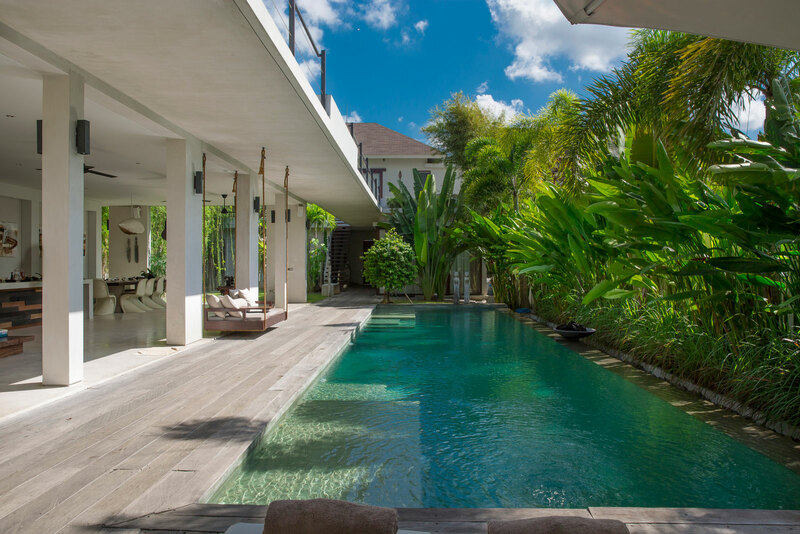 The main area is built around the pool to create an enclosed courtyard and pool garden. 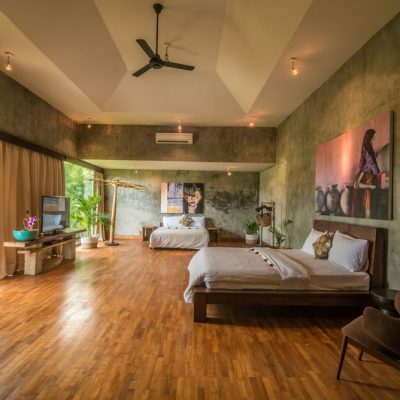 Stylish and comfortable living areas with art pieces and interior design by Saba Steck (a renowned European artist/interior designer) herself throughout the premises. 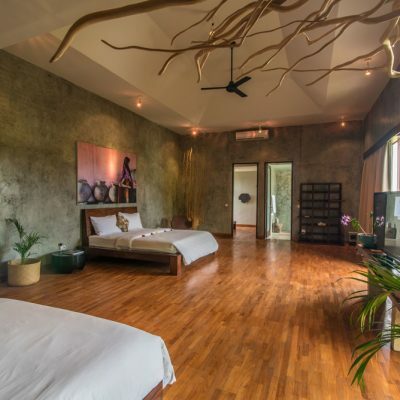 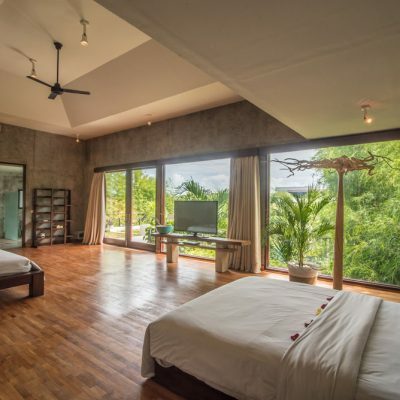 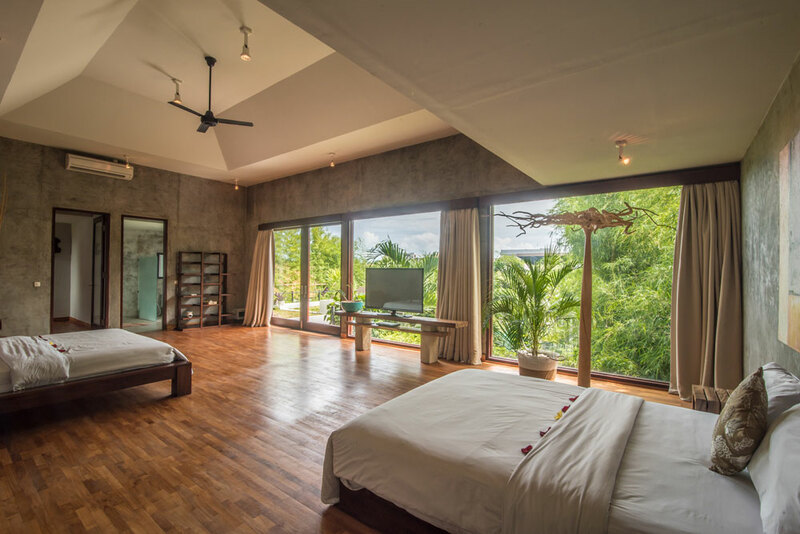 On the second floor can be found an enormous open gazebo/Bale which can be used for in-house yoga classes or simply another chill-out area and a terrace garden with excellent sunset views across the rice fields. 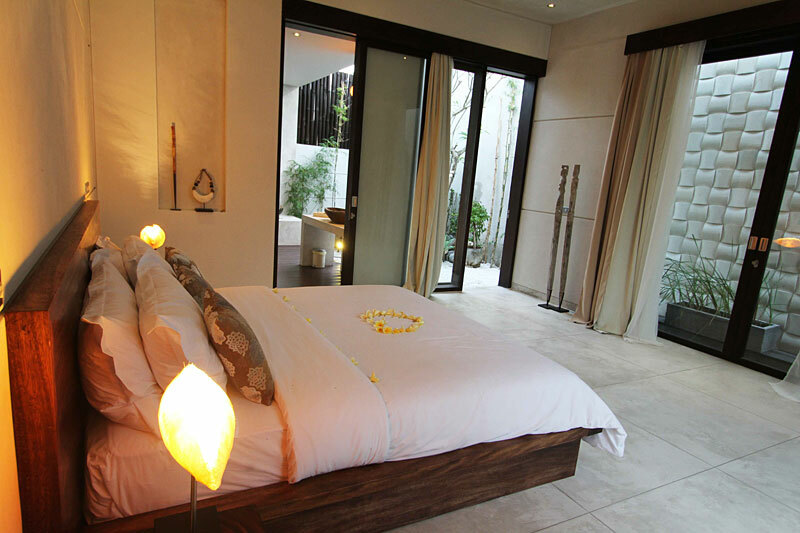 There are three bedrooms on the ground floor all with a queen-sized bed and ensuite. 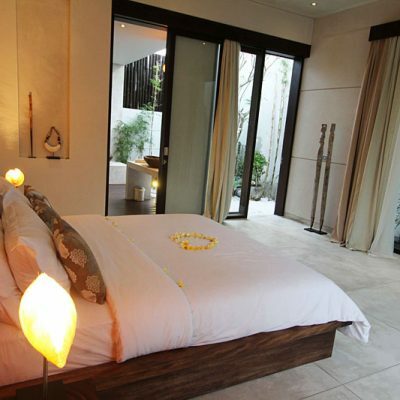 Upstairs there is a huge 10m x 6m fourth bedroom with 4.7m high ceilings with two queen-sized beds and a large ensuite. 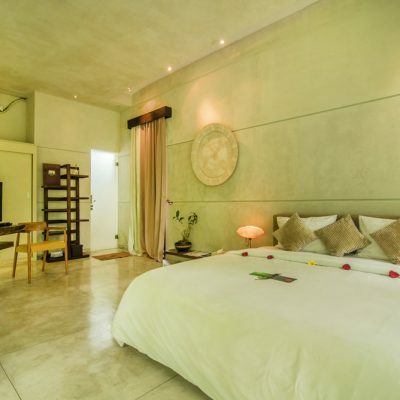 Adjoining this room is a fifth bedroom which has a single bed and aircon.